Algeria has been deporting hundreds of African migrants at a time, in an ongoing crackdown on illegal migration. Algeria, along with other North African countries, refused to sign the protocol on the freedom of movement of people and right of residence attached to the African Union’s African Continental Free Trade Area agreement. Algeria has repatriated 27,000 sub-Saharan African migrants since 2015, a rare official statistic revealed by the interior minister Nouredine Bedoui last Thursday. He added that repatriations are still ongoing. Algeria is a key destination and transit country for many African migrants, mostly from Mali, Niger, Burkina Faso or Chad. 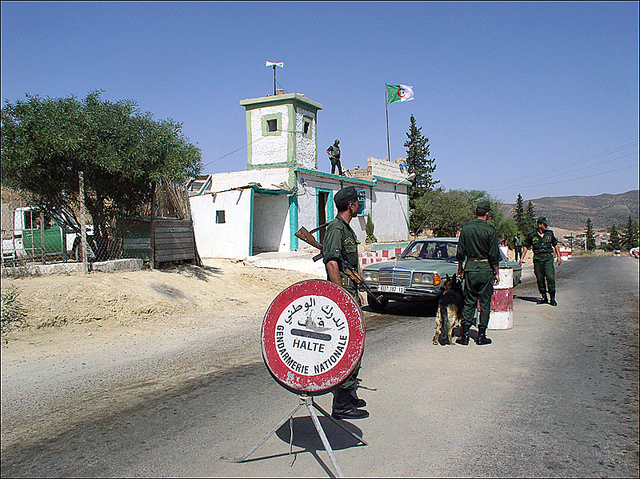 People who have been deported from Algeria earlier this month, stated they were detained in makeshift camps for a few days before being taken on trucks and sent across the border at gunpoint. They then had to walk through the desert for hours to reach In Khalil, the first town in Mali. Some migrants also reported being robbed by armed groups along the way. Niger has repeatedly protested the inhumane treatment suffered by its nationals in Algeria and in February the Minister of the Interior, Mohamed Bazoum, criticised the Algerian authorities actions of expelling West African migrants to Niger and called on Algeria to repatriate them. Last year the Guinean President, Alpha Conde, chose to recall the Guinean Ambassador to Algiers in response to Algerian anti-migrant discrimination and xenophobia. Earlier this month, repatriated Malian’s protested the mistreatment of sub-Saharan migrants by the Algerian government by vandalising the Algerian embassy in Bamako, Mali. The protestors called on the African Union to tell Algeria that membership in the continental union demands that fellow Africans be treated with respect and dignity.